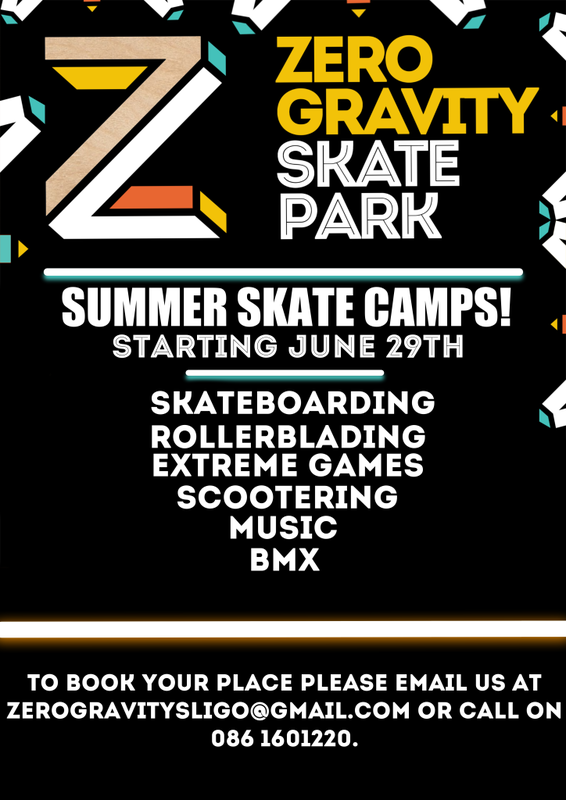 On our Zero Gravity summer skate camps the action and cool fun simply never stops. Our indoor skatepark operates with the safety and enjoyment of the campers as the main priority. Whether your child is a beginner or an advanced skater, we have a program that will allow him/her to excell. In addition to learning how to skateboard, children learn valuable life lessons through skateboarding: Balance, patience, commitment, encouragement and perseverance. Join us for the best week of your summer! 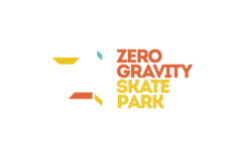 *To book please email us at zerogravitysligo@gmail.com or call us on 086 160 1220. *A NON-REFUNDABLE deposit of €50 is required to reserve a space. *The reaming balance of €60 is due on the day the camp begins. * Campers are placed in groups based upon age and ability. * All campers begin with the basics of skateboarding; pushing, turning, stopping. * Once the basics are mastered, they move on to riding ramps; rolling in, dropping in and kickturns. * Advanced skaters will move onto tricks on both the ground and ramps. * In addition to skateboard skills, campers are taught, skatepark etiquette, patience and confidence. * In addition to skateboarding, campers play games, do music projects and make new friends. * Skateboarding is taught in all weeks of camp. * Skaters from age 8 – 15 of all abilities are welcome to attend. * Each week of camp is limited to 15 campers. * Full pads are required the entire day of camp. Pads prevent injury and add confidence allowing skaters to skate longer and progress faster. HELMETS are mandatory for all campers, coaches or anyone that enters the park. Helmets and pads are provided at the park. * Each camper must pack a lunch. Snacks and drinks are available at our shop!. July 27th – July 31st. 9am – 3 pm. August 11th – 14th. 10 am – 3 pm. August 17th – August 21st. 10 am – 3 pm. August 24th – August 28th. 10 am – 3 pm. Hope to see all you guys soon on our camps.